The Archdiocese of Baltimore honored 61 top Catholic high school seniors at the 19th annual Distinctive Scholars Convocation at Archbishop Spalding High School in Severn April 14. The top three seniors (and ties) in grade point average at their respective schools received certificates of distinction from Barbara McGraw Edmondson, superintendent of Catholic schools. Archbishop Curley High School: Vincent Giacinto Scarinzi, Benjamin D. Turcea, Alexander M. Waldt. 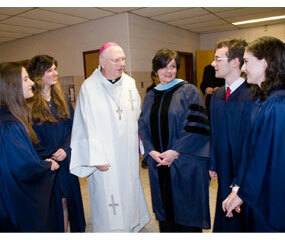 Archbishop Spalding High School: David Boretti, Michael Collins Jr., Danielle Makarsky. Bishop Walsh School: Erin Giles, Rebecca Thayer, Charlotte Thomas. 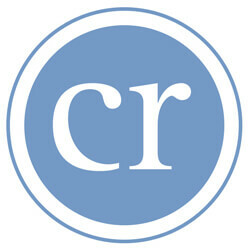 Calvert Hall College High School: Paul LaShier, Andrew Mills, Christopher Procopio, Christopher Sutton. The Catholic High School of Baltimore: Kristen Di Marino, Paige Lauenstine, Alexis Scholtes. Cristo Rey Jesuit High School: Mariah Gangapersad, Keyona McNeil, Brian Reynolds. Institute of Notre Dame: Colleen Fridley, Claire Harryman, Julia Horn. The John Carroll School: Ellen Celeste Barker, Joseph Corman Hoff, Susan Therese Lubjeko. St. John’s Catholic Prep: Woon Ok Kim, Kathleen Morrill, Sean Reilly Wood. Loyola Blakefield: Ryan Nicholas Nolan, Joshua Edward Porterfield, Adam Charles Sherman. St. Maria Goretti High School: Maria Jones, Isabella Schiro, Max Stockslager. St. Mary’s High School: Anna Grace, Meghan Leigh McCarthy, Mary Clark Mulhern. Maryvale Preparatory School: Kathleen Erin Browne, Laura Anne Hart, Hannah Amanda Johnson. Mercy High School: Brittany E. Baird, Patricia K. Hoang, Kelly A. Rudolph. Mount de Sales Academy: Amy Fly, Emily Hooper, Debra Parks. Mount St. Joseph High School: Louis Joseph Born, Sean Thomas Gilmour, Kai-li Liang. Notre Dame Preparatory School: Ava Calvano, Clare Goggins, Bridget Kajs. Our Lady of Mount Carmel High School: Ally Emerson, Vincent Schiavone, Caroline Whalen. The Seton Keough High School: Julia Jester, Emily Montoya, Rebecca Stevick.